The UK’s cyber-security agency is warning that Britain must understand the potential “opportunities and threats” of using Chinese technology. GCHQ director Jeremy Fleming will give a rare speech on Monday emphasising the need for better cyber-security practices in the telecoms industry. “It’s a hugely complex strategic challenge,” he will say. The US is pressuring its allies to not use Chinese firm Huawei’s technology to build new 5G networks. 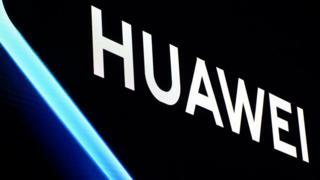 Its officials are concerned that China could be using Huawei products to spy on other countries. Most of the UK’s mobile companies – Vodafone, EE and Three – have been working with Huawei on 5G, but they are awaiting the results of a government review, due in March or April, that will decide whether or not they’ll be allowed to go ahead. In December, MI6 chief Alex Younger raised questions over China’s role in the UK tech sector, and a recent report from the Royal United Services Institute said it would be “naive” and “irresponsible” to allow Huawei access. However, the National Cyber Security Centre – part of GCHQ – said last week said any risk posed by the company could be managed. In his speech at an event in Singapore , Mr Fleming will emphasise that the government is concerned about balancing the supply chain and ensuring that there is diversity in the telecommunications equipment supplier market. “We have to understand the opportunities and threats from China’s technological offer – understand the global nature of supply chains and service provision irrespective of the flag of the supplier,” he will say. “They are reviewing the situation, in a way that hasn’t been done in the past, but it sounds like all options are still on the table,” he told the BBC. Looking historically at the way that mobile operators tender contracts for new network infrastructure, Mr Fabre said that typically telcos select at least three large vendors, as well as a few smaller suppliers, rather than just one vendor. This strategy ensures that the mobile operator is able to get a range of innovative technologies at competitive prices, which is also good for the market. The US is pursuing criminal charges against Huawei and its chief financial officer Meng Wanzhou. The company’s founder, Ren Zhengfei, told the BBC in an exclusive interview last week that the US makes up only a fraction of its overall business and could not “crush” it. Speaking at a roundtable at Mobile World Congress in Barcelona on Sunday, Huawei’s rotating chairman Guo Ping once again strongly denied allegations that the company’s equipment was being used for spying. “Huawei needs to abide by Chinese laws and also by the laws outside China if we operate in those countries. Huawei will never, and dare not, and cannot violate any rules and regulations in the countries where we operate,” Mr Guo said, according to AFP. He said he hoped countries would make 5G decisions based on national interests, and not just listen to “someone else’s order”.